Back in the day, they were called cell groups. 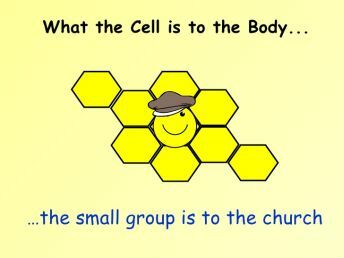 In the earliest models provided by church growth experts they were drawn as small circles (cells) connected to a large circle (the parent church). They later came to be known as small groups or house groups or house church fellowships. Full disclosure: My wife and I haven’t been in one for a long time. In some ways her worship teams provide that fellowship and interaction for her. My bookstore community provides a huge source of connection throughout the week. If we could find the right group, meeting at the right time that works with our schedules, I would certainly want to sign up. I am a great believer in small groups. At the fastest growing church movement in Canada, The Meeting House, pastor Bruxy Cavey is known for telling his people, “If some week you face a choice between attending your house group and attending church on Sunday, choose the house group.” There is an immediacy and an intimacy in sharing our journey with others, whether bound by the age and stage we’re at in life, or by geographic proximity. 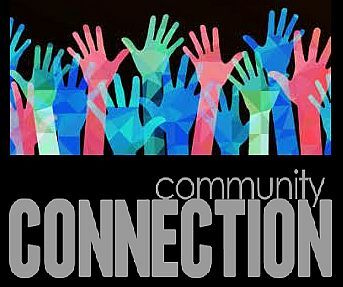 Today, I want to suggest something a little out of the ordinary; something you don’t hear in the annual appeals to become a member of a Connection Group or Life Group or whatever your church calls it. You need to also have one part of the week where you’re connected to your broader community. You need to have contact with people who are outside the Christian bubble. You need a non-work, non-neighborhood, non-family context in which to rub shoulders with people outside the bubble. Unchurched people. People far from God. People Jesus loves. Because doing so would be intentional. In a Jerusalem-Judea-Samaria context, your neighbors, family members and co-workers are your primary sphere of influence. That’s your Jerusalem. But you need a Judea. These types of things provide us with opportunities to be salt and light in our respective communities. I realize you are more accustomed to the type of appeal we talked about yesterday, to use your gifts in the church. 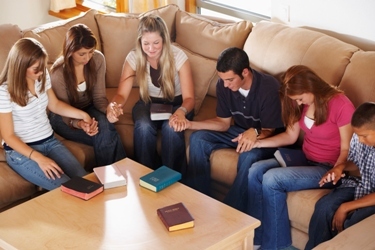 I also believe that a small group Bible study needs to be a higher priority. But next, I think we need to consider doing and being more in our respective communities. We need to reach out to the wider populace which surrounds us. It’s good for them, and it’s good for us. Some of us are far too trapped inside the bubble. We need a second small group. This phenomenon seems to be more pronounced in North America, but here in Ontario it is coupled with something called ‘the cottage mentality.’ Perhaps where you live the term cabin is more prevalent than cottage. Or the lake house. It means that if it is the weekend in June, July, or August; one is officially at their summer cottage, even if they don’t actually own one. This means that the summer shutdown becomes evident even in the Sunday morning programming of the churches here. Imagine the greatest institution the world has ever seen suddenly shutting shop. Imagine a movement so powerful that nothing can stop it dispersing its followers for an extended holiday. Imagine the Church of Jesus Christ simply not being there for the hungry, the thirsty, the needy. I remember one woman returning to church in September after an absence of at least 90 days, announcing to all nearby that she was back and ready to help “whip this place back into shape.” That did not go over well among those who had been faithful throughout the warmer months. She wanted to pick up the pieces and create a fresh start, when in fact the church had a colorful and vibrant ministry during the weeks she was at the cabin enjoying the sunshine, the barbecue and the swimming. The loss of continuity here is gigantic. I have however noticed that among some megachurches the programs just become so overarching that it is impossible to curtail them in the summer months. This may actually be a major positive attribute for megachurches at a time when people are so quick to emphasize their negatives. But then these same megachurches will have a weekend where the simply shut down everything altogether. Everything. The doors are locked. For you mainline Protestants, think of it as the non-Sunday of Ordinary Time. Can you imagine a Roman Catholic church not having the mass the week after Christmas? Or a long weekend? No. Neither can I. Where did this day-off-mentality come from anyway? We live at a time when people are taking an extremely casual approach to church attendance. Families with children have already sacrificed weekly continuity on the altar of getting their kids into team sports: Soccer, baseball, three-pitch, t-ball, gymnastics, swim teams, etc. What hasn’t been destroyed by athletics has been decimated by dads working weekend shifts or moms working retail Sunday openings. These days, if you can get a family out to church 26 out of 52 Sundays, you’re doing well. So why chop that down to only 50 Sundays? Why create even the most subtle suggestion that taking time off church is perfectly acceptable? We did attend a local church since moving to this small town where the Sunday School ministry didn’t really miss a beat in the summer. I noted their dedication. It was like they believed in a God that doesn’t take three months off each summer. Last year however, they succumbed to the influence of what other churches are doing. So here’s to those local churches who provide spiritual nurture at full throttle during the holiday months. Good on ya. People are hungry for more of God’s word and teaching, and also opportunities for fellowship twelve months of the year. I’m willing to bet there are stories of spiritual starvation that take place when ‘spiritual providers’ take off. I’d like to start a crusade to fight on behalf of those who are simply not looking forward to the next few months of meetings suspended until the fall. Some of those are hurting and some are lonely. The people making the decision to curtail programming or shut down a particular weekend are usually well-connected and have lots of social activity planned for the time they are away. The modern megachurch simply cannot offer an alternative service in a smaller room in the church where Mrs. Trebleclef will play some well known choruses or hymns on the keyboard (or Mr. Coolhair on the guitar), the head of Men’s Ministry will speak, and then we’ll have a coffee time in the atrium. That would be a simple service. It would involve said pianist, the person giving the short devotional message, and the person to make the coffee, as well as someone to unlock the doors and check the restrooms before locking up. But that’s not the brand these churches want to offer. You can’t have a simple, grassroots service like that. Better to have locked doors. Wanna buck the trend? Light a candle! Use the summer to invite people over to your home for informal events. Can’t lead a Bible study? Just find a good teaching DVD and set up the machine in the living room; make some coffee and then let whatever is meant to happen next, simply happen. There are sermon DVDs from pastors you’ve heard of available as downloads online, you can purchase some from various ministry organizations, or you can buy them at Christian bookstores. Counter the summer shutdown mentality with impromptu, informal events in your home this summer. And no, you don’t need your pastor’s permission; in fact, make it a non-church event by inviting some people from a different church. Or if the DVD has good outreach potential, invite some non-churched neighbors. If you feel like you’ve read this before here, you have. This is a recurring, annual Thinking Out Loud rant. But this time around the rant you’re reading is a mash-up of four previous articles with additional content. Different churches have different takes on the nature and title given to people who lead home church meetings or what are more widely called small groups. There’s no denying that this is an awesome responsibility, as these cells are a microcosm of the larger congregation, and some churches confer a lay-pastoral authority1 on those who take the helm. If you’re the one getting the discussion started, or asking someone to get things going by reading a key scripture passage, or even leading off with an open question like the one in my wife’s study on Melchizedek, “Do you have a friend with an unusual or very long name?”2 then you have to be open to surprises. So how would you deal with these situations? offer Derek a breath mint as soon as he arrives? have a word with Derek about his shyness and insecurity? lock up the cat before group members arrive? remind Belinda that Bible studies should be apolitical and keep on topic? give Belinda 10 minutes to let it all out, on the condition she never mentions it again? remind Belinda that as a Canadian in Kentucky on a special work visa, she can’t vote anyway? “We have some pictures that are ready at Wal-Mart, and they’re open tonight until 10:00.”? “That sounds like something I need to do;” and allow Marita to lead you in the sinner’s prayer? “You know Marita, you need to share this with Derek. He has a drinking problem, you know.”? refer all bathroom breaks to a location further away in the house? find a way to ration the snacks before each group meeting? lock up the cat before Brandon arrives? Small group leadership is never easy, but through helpful quizzes like this one, we believe we can provide you with the decision-making tools you need to further your ministry. 1I just made up that term. But some assemblies call them “home church pastors” so the job carries some responsibility and authority. In other churches, the small group pastors are the elders. 2This was an actual open question in the Serendipity Bible study she was leading. The graphic used to accompany today’s article was hijacked from this source, where you’ll find a humorous 2-minute video. That’s essentially what many of our North American churches do in June, July and August. It turns out this is a topic on which I have both strong opinions and raging passion, because I’ve written about it here twice; in an April, 2008 post, Loss of Continuity, and a May, 2009 post, Summer Shutdown Mentality. I have however noticed that among some megachurches the programs just become so overarching that it is impossible to curtail them in the summer months. This may actually be a major positive attribute for megachurches at a time when people are so quick to emphasize their negatives. We did attend a local church since moving to this small town where the Sunday School ministry didn’t really miss a beat in the summer. I noted their dedication. 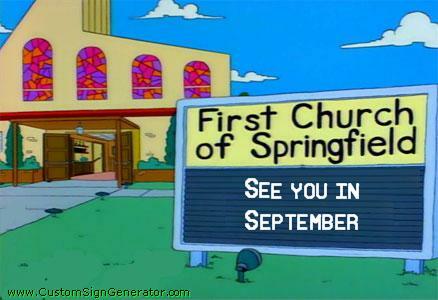 It was like they believed in a God that doesn’t take three months off each summer. Use the summer to invite people over to your home for informal events. Can’t lead a Bible study? Just find a good teaching DVD and set up the machine in the living room; make some coffee and then let whatever is meant to happen next, simply happen. There are sermon DVDs from pastors you’ve heard of available as downloads online, you can purchase some from various ministry organizations, or you can buy them at Christian bookstores. Just this week, I had a conversation with someone who is operating in a kind of spiritual paralysis because she thinks she needs her pastor’s permission to invite a few friends over for a faith-based discussion; that she needs her church board’s permission for a few Christian friends to pool some money to sponsor a 10-year old girl’s week at a Christian camp. More recently — well, 2013 actually — David Murrow wrote about another factor: Huge structures we call megachurches are already grossly under-utilized without closing down for a week. Most church buildings are owned debt-free. Many of these churches sit empty 160 hours a week. And they’re half-empty on Sunday. I’m willing to bet there are stories of spiritual starvation that take place when ‘spiritual providers’ take off. I’d like to start a crusade to fight on behalf of those who are simply not looking forward to the next few months of meetings suspended until the fall. I’ve noticed recently that while a number of the more prominent Christian bloggers have people do guest posts at their blogs, you don’t see these same celebrity Christians anywhere in the rest of the blogosphere. So I thought it was a particularly unique opportunity when I uncovered this ten minute video was available to add here — until the blog police catch up with us — by Jon Acuff at the always witty and insightful Stuff Christians Like, though proper blog etiquette dictates that all of you will now click over and watch it there, right? Please do, since SCL is now copyrighted by the sales and marketing division of Dave Ramsay’s organization, and we don’t want to upset them just in case we need some investment advice moving forward. Seriously, this video was actually produced by lifechurch.tv as the first in a series of four for high school students, though the hope is that its content will be suitable for people of all ages who find themselves in the middle of a “desert road” experience. It waves the white flag of surrender to the calendar, the school year, and the arrival of hot and humid weather. It gives up because so-called “key leadership” decided to spend weekends at the lake. It broadcasts the message that summer ministry simply isn’t worth the bother. Who Exactly Is Teaching The Women in Your Church? Other bloggers can talk all they want about John Piper, Scot McKnight, Tim Keller, Francis Chan, etc., but I work in a Christian bookstore and in that environment, only one name mattered this week: Beth Moore. Her So Long Insecurity: You’ve Been a Bad Friend To Us (Tyndale, 2010) is out in hardcover at $24.99 US this month and has captured the top spot on a couple of the Spring Arbor overnight Top 100 charts this week. Before going further, I have to ask: What’s with the United States and all their hardcover releases? I thought y’all were in the middle of an economic downturn? Okay, the question is rhetorical. When it comes to Beth Moore, money is no object. Almost all her book titles have released in hardcover, a situation she shares with her slightly more charismatic friend, Joyce Meyer. Neither one of these women have any problem sucking money out of the pockets of their fans. In fairness though, while Meyer may not be able to control everything her publisher does with her hardcovers, she apparently does give away many of her teaching DVDs and CDs to ministry organization. With Moore, the commercialism is more overt. When Moore isn’t writing general book titles for publishers such as Tyndale, she’s producing another small group Bible study for Lifeway. I gotta be honest here, I have a hard time even typing Lifeway into a sentence, and I just about retch saying it out loud. Lifeway is the most ingenious money sucking device ever invented by Baptists, and trust me, they’ve invented several. My anger knows no bounds in this, but fortunately it’s righteous anger, so I can rationalize it in large amounts. Here’s how the scam works: Lifeway, a producer of dated Sunday School curriculum decided long ago that there was far more money in delineating its non-dated adult small group material as curriculum also, and sells it to distributors at what is called a short-discount. Your favorite Christian bookstore or online vendor is simply not making a lot of money on it. So who is? Often, such as in the case of church choral and orchestral product, or certain esoteric Bible translation materials, the discount is shortened to keep the price affordable. But with many of Moore’s DVD teaching sets retailing at $250 US, that simply isn’t the case here. Years ago, Serendipity House held back products from distribution — selling them only through their own system — to cover development costs. That’s not the case here, either. The retail prices of the study guides — almost always $19 US and coyly termed “member books” — usually cost participants twice the price of any other DVD-related participant guides and more than cover any possible development costs. But the price is minor when you factor in the volume. Moore and Lifeway together are selling thousands and thousands and thousands and thousands and thousands and thousands and thousands and thousands of these things. The Lifeway anchor store we visited in Nashville had a staff member assigned solely to this one aisle of product, and when he went to lunch someone else covered for him. The appetite of Christian women’s groups for Beth Moore knows no bounds; not denominationally and not geographically. James MacDonald, who won’t let the wives of any of his staff members do anything other than be stay at home housewives, included her on his Downpour tour. She’s ubiquitous; able to boldly go where no woman has gone before and command fees that no one has ever charged before. And what qualifies this person who is teaching our mothers, daughters, wives, sisters and girlfriends? She has a degree in political science. 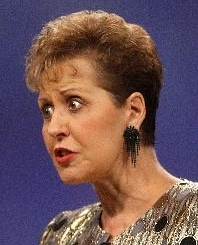 Joyce Meyer? She claims an earned degree from the non-accredited Life Christian University, and also has an honorary degree from ORU. She doesn’t have $250 DVD teaching series, nor do her various publishers and DVD creators stiff Christian bookstores with a short discount. And I’m willing to give her points for growing up in adversity and having attended the school of hard knocks. But the private jet always comes up in conversation. You gotta be careful here, however, since the counter argument is always to look at the places she travels in a year and then compare the cost (and time) involved in commercial flights. I’m willing to let her have the thing. Features: 6 Bedrooms, 5 Bathrooms, Gold Putting Green, Swimming pool, 8 Car Heated and Cooled Garage, Guest House with 2 more bedrooms, Gazebo. Features: 4 Bedrooms, 3 full and 2 half Bathrooms, All-Seasons room, Prayer Room, Media Center and a Home Office. 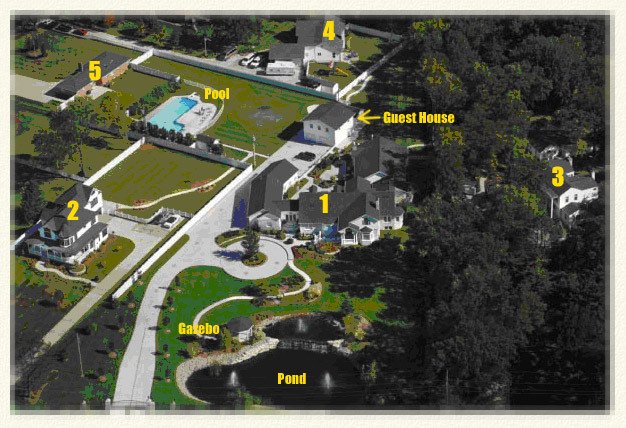 (3)Residence of: Son, David Meyer and his wife Joy Meyer. Features: 3 Bedrooms, 2 Bathrooms with a Fireplace. In conclusion, Moore and Meyer are teachers that lead and inspire the women in many, many churches; and many women either dream or consciously want to emulate Meyer or Moore. In Moore’s case, a denomination holding solidly to the premise that women should not pastor (see link below) has no problem ceding the responsibility for much teaching to a woman whose only earned degree is in political science. In Meyer’s case, it’s often both men and women who enjoy her teaching, while she herself enjoys a personal life of excess. UPDATE: April 4, 2011 — After more than a year of taking a lot of heat for this particular blog post, I’ve decided to close comments. I appreciate the replies to this article, which is the closest thing I’ve ever done to anything investigative, but I really don’t have a vendetta here, and I carry both Joyce’s and Beth’s products in the two bookstores I do buying for. I’ve defended my reasons for running this and leaving it up in various responses to the comments. Please read them. I’ve tried to make it clear my goal was not to wound or hurt anyone. Still, some writers have made it their goal to judge me for posting this. I’m sorry we don’t know each other better. I think the replies, 37 as of now, show the variety of opinions people have on this issue. Also, I need to suggest that for some, the “wrongness” or “excess” of any preacher’s housing, if any, will diminish as the U.S. climbs out of recession. I’d also invite you to read a follow up piece that appeared here several months later. Finally, I would want to remind you that a great many people found this because they were indeed searching for pictures of Joyce’s house. I really don’t know why. And I also want to reiterate that the main issue concerning Beth had to do with the politics by which her products are sold. In a few weeks churches will be starting to promote the fall season of small group ministry. In the part of the world where we live, the dominant model is one where the pastoral leadership determines a course of study for the whole church, regardless of when and where the group meets, often consisting of material based on the sermon the previous Sunday. So I was intrigued by a comment in the book unChristian by David Kinnaman, where guest Mark Batterson, pastor of National Community Church in Washington says something to this effect: ‘We have a free market approach to small groups.’ I wondered how this plays out and asked them for further clarification. Does it always work out or are there liabilities? Heather Zempel, Discipleship Pastor at NCC was good enough to write back and include a link to her blog, where she defines “Free Markets” more clearly. You can link here to read the article as it appeared in 2006 at her blog, Wineskins for Discipleship, or simply read it reproduced below, with a special greeting from Heather. I’m the discipleship pastor here at National Community Church… The bottom line is this: we encourage our leaders to get a vision from God and run with it. We don’t have a structure and a system that we ask leaders to come serve. We don’t have a set of curriculum we ask them to cover. Instead, we encourage them to leverage their gifts, abilities, interests and influence to create community and make disciples. I view my primary job as not to give our leaders direction on what to do or study in their groups but to discover and excavate the God-given disciple-making DNA he has placed inside our leaders and then equipping them, encouraging them, and empowering them to go make disciples. A free-market small group system allows for a high degree of relational connection and creativity by allowing leaders to turn their existing relationships, gifts, interests, passions, and hobbies into disciple-making small groups. Oswald Chambers said, “Let God be as original with others as he was with you.” So why do churches force people into little clusters that all look alike, slap the label “small group” on them, and then promise that they will grow exponentially in their faith as a result? For any small group or discipleship program to be successful, you need leaders who burn white hot with a vision for making disciples. That’s why we implement a free market small group system at NCC. We believe discipleship happens best within the context of shared interests, and it flows naturally out of leaders who are driven by a passionate vision from God. Too many churches establish a vision and a small group model and then ask their leaders to come serve that vision and model. At NCC, we have reversed that by encouraging leaders to get their own vision for discipling others and then equipping them to do it in whatever relational context they find themselves. The NCC vision for small groups is specific enough to give direction and focus, but broad enough to give latitude for leaders to get their own vision from God and run with it. Leaders are motivated when they see where their passion meets a need. We only have 2 basic requirements for NCC small groups. One, there must be opportunity for connection and relationships (relational). And two, discipleship should be the primary purpose (missional). And of course, the leader must also meet the leadership deployment requirements as specified by NCC to be an officially recognized NCC group. We want to encourage innovation and creativity. We believe that God has designed each person uniquely, and he can use that uniqueness as a catalyst for disciple-making. So how are leaders and topics for small groups (cell groups, house church, etc.) chosen where you worship? Does your church allow a free-market approach to midweek groups, or is the course contented dictated to house leaders by senior leadership? I was glad to see that author and pastor Mark Batterson is reporting on his blog that he’s leading a summer discipleship group for dads during the summer. Glad because it flies in the face of a mentality that says everything should shut down for the summer. Here in Canada, we have what is called a “cottage mentality.” Even if you don’t own a cottage, technically you are “away” during the summer. Some programs here shut down during the last week of April and the first week of May. To me, this just leaves a lot of people detached from other people; it leaves them with feelings of isolation and loneliness; it leaves them with more inactivity; and it leaves them increasingly disconnected from their local church. Light a candle! Use the summer to invite people over to your home for informal events. Can’t lead a Bible study? Just find a good teaching DVD and set up the machine in the living room; make some coffee and then let whatever is meant to happen next, simply happen. There are sermon DVDs from pastors you’ve heard of available as downloads online, you can purchase some from various ministry organizations, or you can buy them at Christian bookstores. Postscript: If you really want to do the summer in style and you’re not leaving the city yourself, consider upgrading the coffee to a dinner and showing the ten weeks of the H2O discipleship program. Great videos, with all the content of the Alpha program, but with superior dramatic production values suited to a media-savvy generation.